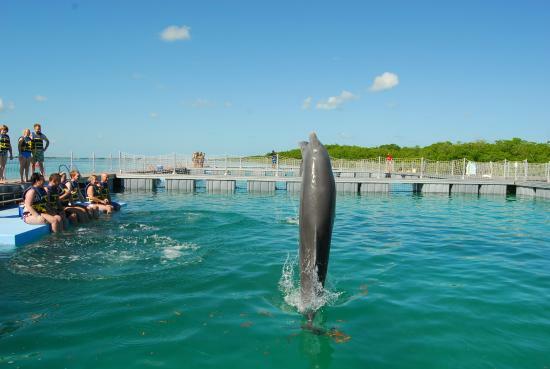 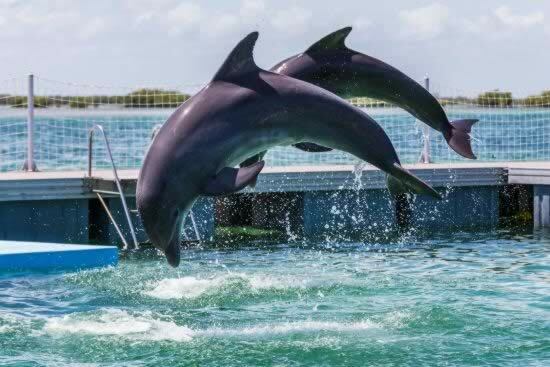 On the south coast of Cay Guillermo and featuring as one of the main off-hotel options of the tourist resort area, one finds a remarkable dolphinarium fashioned in a natural pool where these trained cetaceans delight the attending public. 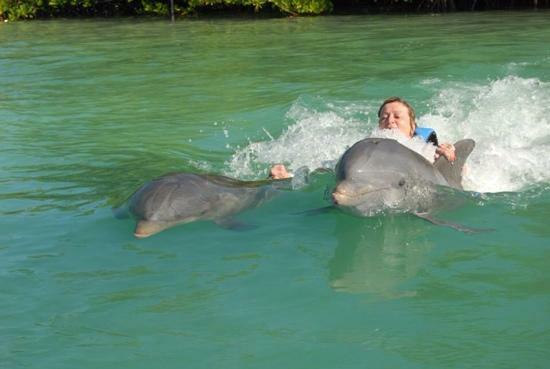 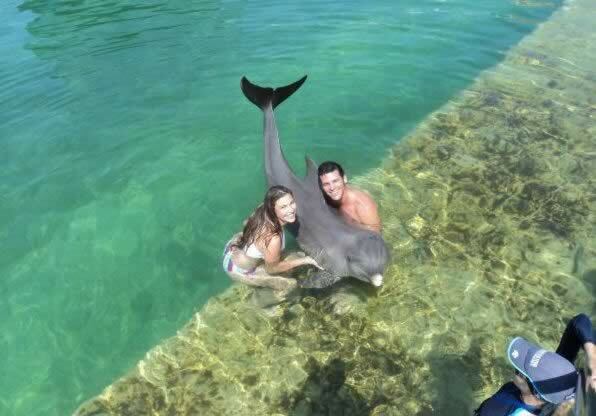 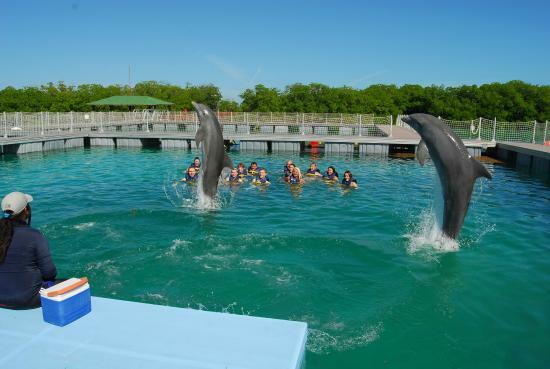 Swimming with the dolphins constitutes the pinnacle of each of the 4 shows on offer daily. 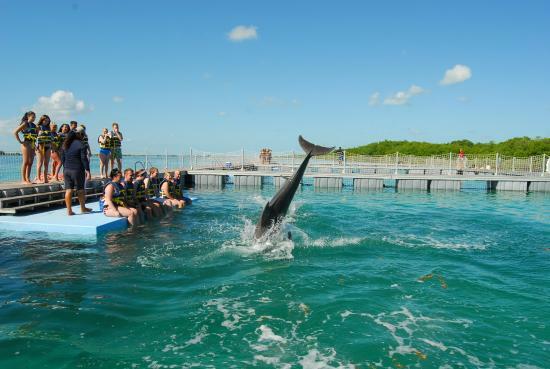 Wallow in the marvelous experience of being propelled or towed by the potent swimming of these amiable marine mammals.